Just before Season 9 of the PokerStars European Poker Tour (EPT) gets underway in Barcelona on August 15th, there will be a meeting (the first of its kind for European poker) of the European Players Council, which was formed by PokerStars to discuss PokerStars live events in Europe, including structures and rules. 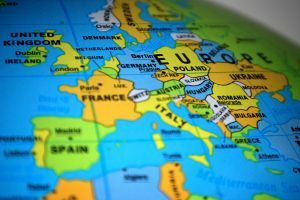 The inaugural Players Council represents different parts of the globe, where each player will offer their insights and experiences to try to improve live poker events in Europe. Mattern is a former PokerStars EPT champion (the 2007 EPT Prague) has over $2 million in career tournament winnings. Pagano is an IPT winner, and has a remarkable seven EPT final tables under his belt. Kravchenko is a WSOP bracelet winner who also finished 4th in the 2007 WSOP Main Event. His lifetime winnings are now approaching the $4 million mark. Katchalov is one of the biggest winners in tournament poker history with over $7 million in career winnings, and is an EPT win away from winning poker’s Triple Crown. Marquez is one of the rising stars on the Spanish poker scene. Nitsche has won a WSOP bracelet and an LAPT Main Event, and is considered one of the best young German players in poker. The Canadian poker pro is considered one of the top female players in the game, and has appeared at a number of final tables at major tournaments around the world. Adeniya is fairly new on the live tournament scene, but he has already made a huge impact, with nearly $500k in tournament winnings under his belt. The former EPT Player of the Year, Jacobson is a rising star in European poker. We’ll have to wait and see what kind of impact the Players Council has on European poker, but as we have seen with the WSOP Players Council, these groups can help shape and form poker tournaments in a very positive way, and push forward the agenda of the players over those of the venues.